Does reading books make you a nicer person? Or are nicer people more likely to be drawn to reading? A recent study by researchers at Kingston University found that people who read works of fiction tend to be kinder and more empathetic. Printing was the innovation Bacon put first, and the one that concerns us most in 2016. Printing made the modern era possible by disseminating the books that opened new ways of thinking and encouraged new human aspirations. Under the influence of printing, the Protestant Reformation, the Renaissance and modern science all sprang to life. It was a revolution – “the Unacknowledged Revolution,” as one modern historian called it because (despite Bacon) most of the world didn’t understand what was happening. 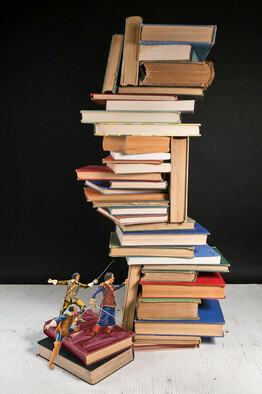 Spring cleaning is a necessary evil, regardless of whether you’re pruning your bookshelves or something more digital. I was sitting in bed with my boyfriend last week, our laptops open and Goodreads up in our browsers. I was aghast to see that my boyfriend’s to-be-read (TBR) list only had ten books on it. TEN?! Bro, do you even read? Days later, I was still thinking about that statement. He was right; don’t tell him. I knew something had to be done, so I set to reducing my TBR list as quickly and efficiently as possible. Using Goodreads’ batch edit feature, I can select the books I want to change, then remove them in one click. 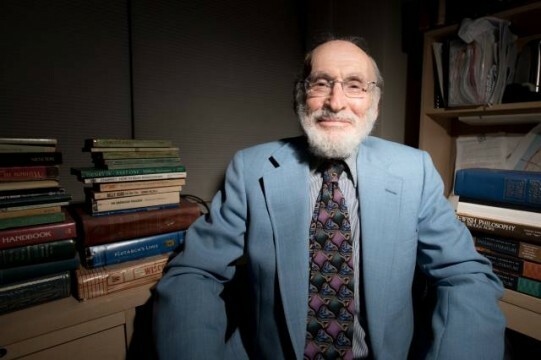 Since 1963, Yeshiva University students looking for an engaging encounter with English literature have been able to find courses taught by Dr. Manfred Weidhorn, the Abraham and Irene Guterman Chair in English Literature and professor emeritus of English, on the roster. An immigrant from Vienna who earned his PhD in English at Columbia University, Weidhorn is a prolific scholar and writer whose works include a dozen non-fiction books and over a hundreds essays on Shakespeare, Milton, Winston Churchill, Galileo, literary themes, cultural history, and the relationship between religion and science, in addition to young adult biographies of Napoleon, Robert E. Lee, and Jackie Robinson. At Yeshiva College and Stern College for Women, he has taught classes on topics that range from the Russian short novel to the Scientific Revolution and everything in between, encouraging students to approach each topic in new and sometimes unconventional ways. Such colossal ambition coalesced under the Ptolemaic dynasty. In the third century B.C., more than half a century after Plato wrote his dialogues, the kings ordered that every book in the known world be collected and placed in the great library they had founded in Alexandria. Hardly anything is known of it except its fame: neither its site (it was perhaps a section of the House of the Muses) nor how it was used, nor even how it came to its end. Yet, as one of history’s most distinguished ghosts, the Library of Alexandria became the archetype of all libraries. 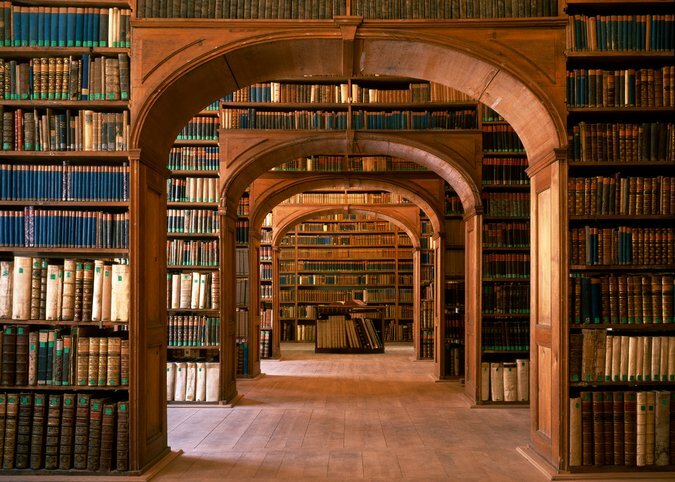 Libraries come in countless shapes and sizes. They can be like the Library of Congress or as modest as that of the children’s concentration camp in Auschwitz-Birkenau, where the older girls were in charge of eight volumes that had to be hidden every night so that the Nazi guards wouldn’t confiscate them. They can be built from books found in the garbage, like the Yiddish Book Center in Amherst, Mass., set up in 1980 by the 24-year-old Aaron Lansky from volumes discarded by the younger generations who no longer spoke the tongue of their elders, or they can be catalogued in the mind of their exiled readers, in the hope of resurrection, like the libraries plundered by the Israeli soldiers in the occupied territories of Palestine. It is in the nature of libraries to adapt to changing circumstances and threats, and all libraries exist in constant danger of being destroyed by war, vermin, fire, water or the idiocies of bureaucracy. I started borrowing books from a roving Quaker City bookmobile when I was 7 years old. Things quickly got out of hand. Before I knew it I was borrowing every book about the Romans, every book about the Apaches, every book about the spindly third-string quarterback who comes off the bench in the fourth quarter to bail out his team. I had no way of knowing it at the time, but what started out as a harmless juvenile pastime soon turned into a lifelong personality disorder. If you have read 6,000 books in your lifetime, or even 600, it’s probably because at some level you find “reality” a bit of a disappointment. Fifty-five years later, with at least 6,128 books under my belt, I still organize my daily life—such as it is—around reading. As a result, decades go by without my windows getting washed.